Nokia has launched its first 8 mega pixel camera phone Nokia Nseries N86 . We have already informed you about the global lunch of N86 , two weeks before . 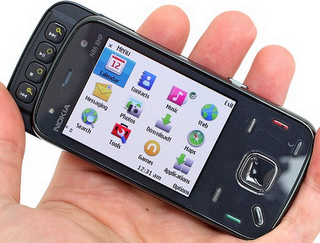 Later in India Nokia released their flagship product N97 , and now came up with N86 . Nokia N86 is well suited for people looking for a good camera and an above average priced mobile device .Nokia N86 is double end slid phone like Nokia N95 and N85 and based on same Symbain OS 9.3, S60 rel. 3.2 . It will be good competitor for Samsung INNOV8 and SonyEricsson C905 on the basis of their 8 mega pixel camera . Nokia N86 has the first mobile camera to include a variable aperture for lens.Other major N86 specifications include a ARM 11 434 MHz processor,128 MB (phone) , 8GB internal memory expandable upto 16GB and a 2.6 inch Active Matrix display . Indian price of Nokia N86 is around 570 $ and is now available at all major Nokia shops . It would have been better if N86 was using the latest Symbian OS V5 in Nokia N97 ,Nokia 5800 and Nokia 5530 . But being on S60 V3 ,another advantage is the large number of available applications . 8GB internal memory in Nokia N86 is capable of storing more than 4000 high resolution images . N86 Camera features :Carl Zeiss Tessar lens with 28mm wide variable aperture, mechanical shutter and VGA video recording quality of 30 frames per second . 2.6 inch 16 Million colors OLED display with scratch protection . N-Gage ready for playing high graphics games . Normal Nseries music player with 3.5mm headphone socket. FM receiver with RDS and Transmitter : N86 an be turned to a local FM radio station with this feature. Kickstand for keeping the phone steady while playing videos . Nokia N86 has an excellent web browser with Java and Flash support , which could be even used to play live Youtube videos . Quad-band GSM and 3G with HSDPA 3.6 Mbps data speeds . Accelerometer support for landscape mode and auto rota ion of screen ..
Bluetooth with A2DP and standard Micro USB . Nokia N86 provides easy options to access new Nokia Ovi store to download latest mobile applications ,music and share photos online . As per Nokia ,N86 is expected to offer 3.9 hour talk time with 3G and 6.3 hours on GSM network. Its might be also capable of holding the charge for 7 hours of video playback . Nokia launched N86 in various cities across India and slowly the phone is getting available in Nokia priority shops and regional resellers . The official India price of Nokia N86 is currently RS 27,400 (570$) .